Oozi Cats, the chief executive officer and co-founder of Telit, talked to Ahmed Ali, a senior analyst at Analysys Mason, about Telit’s IoT vision, partnership strategy and opportunities within the IoT edge. Ahmed Ali: Coming from a hardware background, where do you see the value in expanding into the end-to-end, device-tocloud solution business? Oozi Cats: Telit was founded at the beginning of M2M era, 17 years ago. Back then, the cost of the device was high, several parties were involved in deployment and a lot of integration was required. Return on investment (ROI), on the other hand, could not be ensured and took a long time to achieve. Now, in 2017, with technologies like narrowband IoT (NB-IoT) and low power wide area (LPWA) technologies emerging, we expect that the solution delivery model will evolve in the next few years. Take the connected fire extinguisher solution we demoed at MWC 2017 as an example. Fire extinguisher providers will not be interested in buying individual hardware connectivity elements as they will still be faced with the problem of adding and integrating elements from other technology providers. The way to enable a fire extinguisher to be connected is to offer a full solution. By investing in the right platform that supports millions of devices and provides diagnostics to hardware that seamlessly connects to the cloud, we can provide the whole solution to our customers. AA: Some of the big players in the IoT platform market like AWS, Azure, GE Predix and IBM Watson are also offering device connectivity. How does Telit’s offering differentiate from these platform providers? OC: These players have powerful big data and analytics capabilities and they can do phenomenal things for your business as long as you provide them with the data. However, they are not very agile in getting the data to their clouds and that is where Telit comes in. Ingesting data into the cloud from millions of devices that are running in different countries is a big issue that we solve and we partner with these four players to extend our services to enable their advanced analytics solutions. They are recognising Telit’s advantage as a mid-layer player providing them with the data their customers want for analytics solutions For customers that want advanced analytics solutions, we can integrate our solution with the cloud providers. For customers that do not require extensive analytics support, we can provide the full solution. AA: I understand you have many proofs of concept (PoCs) projects using your platform. Can you talk more about those PoCs and how are they breaking down for you? OC: There are two distinct opportunity areas: firstly, solutions geared toward business decisionmaking and; secondly, innovation in business models and the creation of new revenue streams. An example of the first is Tennant, which provides cleaning machines. 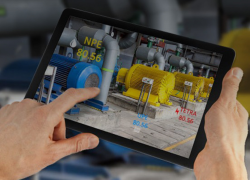 By connecting its products, Tennant was able to track the performance of its devices globally, gain insight into how and where these devices are being used and then take realtime actions to improve product design and preventative maintenance. An example of the second type of customer is RTI which supplies frying oil and equipment to fast food chains in the United Sates, including McDonald’s. By connecting their oil trucks, they managed to optimise the delivery process with fewer trucks, fewer driving hours and less fuel consumption. Most importantly, by connecting the fryers used in their customers’ restaurants, TRI managed to extract data about compliance with food cooking procedures and build a new business model based on reselling the data to its customers. AA: What do you think are the remaining challenges for the IoT from a vendor perspective? OC: Last year we lost more than US$10 million on our platform, although it reached US$35 million in revenue and a made a 63% margin. We are onboarding hundreds of customers that are paying very little as many are still in PoC and pilot phases. We are running several PoCs with tier one blue chips that can turn into millions of devices-peryear businesses but PoCs can run for years before moving to pilots and deployments. Even then deployments can be partial and in limited geographic locations depending on the customers’ plans. We are in the investment phase. We will still be investing and growing until 2019 and hopefully we will start cashing in on the investment in 2020. AA: Finally, can you talk about the significance of the two announcements you made in June 2017 about simWISE and the partnership with OT-Morpho? OC: In June, we announced the availability of simWISE, a module-software e-SIM, which is already being deployed. Two weeks later, we announced the deal with OT-Morpho which will support our capability in the future to provide soft SIMs for different operators. 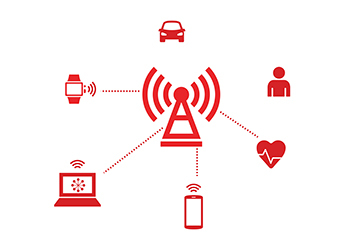 Today, we basically work with customers to create IoT devices and when they are ready, customers take the SIM cards from mobile operators and they insert the SIMs in devices to enable them. In five years, this will be done differently as we will need to digitally take the coordinates of the mobile network operator and embed them in the manufacturing line using machines that inject the right mobile operator keys into each module. We see the opportunity in enabling these solutions and we partner with OT-Morpho to differentiate through our combined expertise. Subscription management and device steering between operators based on business or technical criteria will be significant capabilities that we are going to provide and these two announcements are core pieces around which we are developing a portfolio of innovative offerings in the next three to five years.